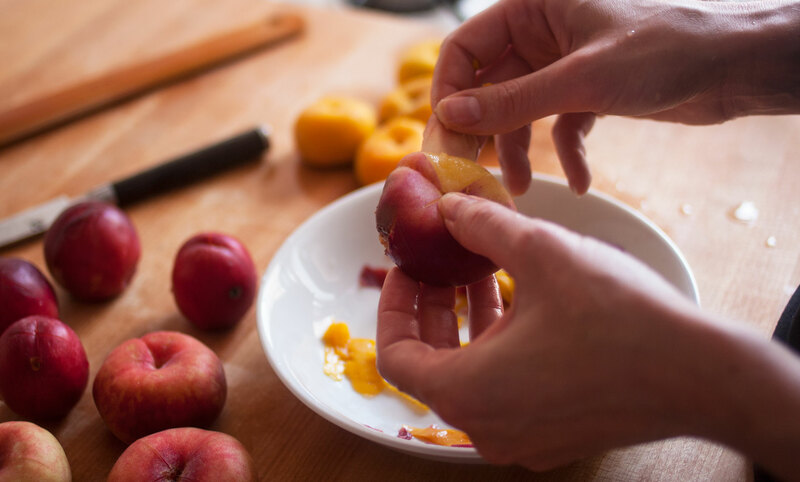 In the last couple of weeks we’ve been inundated with stone fruit from our CSA. While I seem to have the capacity to consume the fruit by the pound, Eric’s oral allergy syndrome doesn’t allow him to eat raw stone fruits. 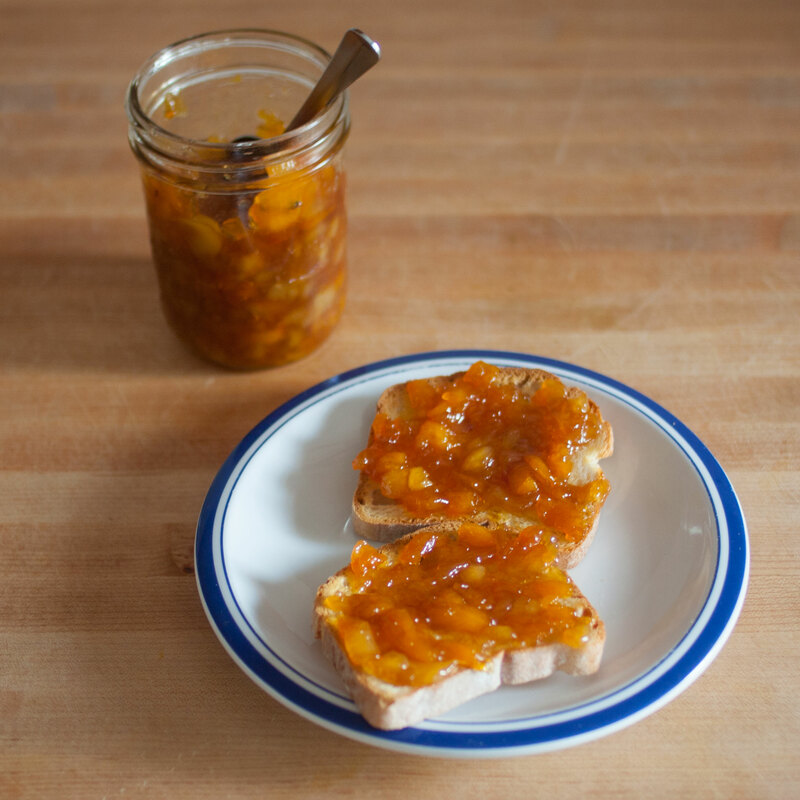 I had been thinking about making a fast batch of jam and our pile of older looking peaches, nectarines and apricots seemed like the opportunity to transform some of the bounty of our summer fruit share into a delicious treat for Eric. 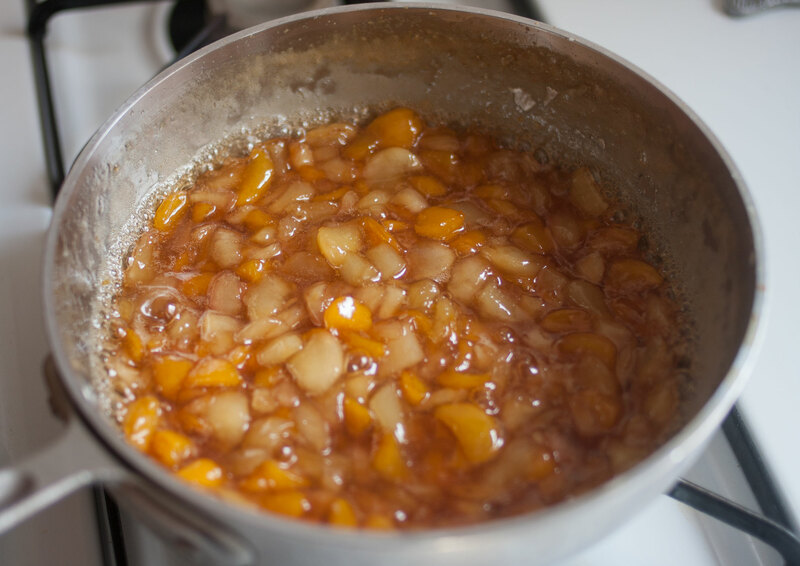 The first part of making jam with stone fruits is getting the skin off the fruit. I made a small X on the bottom of each fruit, dipped the fruit into boiling water for about 30 seconds, and then peeled off the skin. Sign me up for any opportunity that involves the use of one of my favorite kitchen tools- the spider skimmer! Even though it was hard on my hands, the fruit was easier to peel when it was hotter. I found myself captivated by the colors of the skins. I cut the fruit into smaller inconsistently shaped pieces and didn’t worry about getting every little bit of fruit attached to the pits. Once all the fruit was cut, I added the sugar. Since the fruits were already extraordinarily sweet I only added one cup of sugar– ultimately I wish I had added a little less. 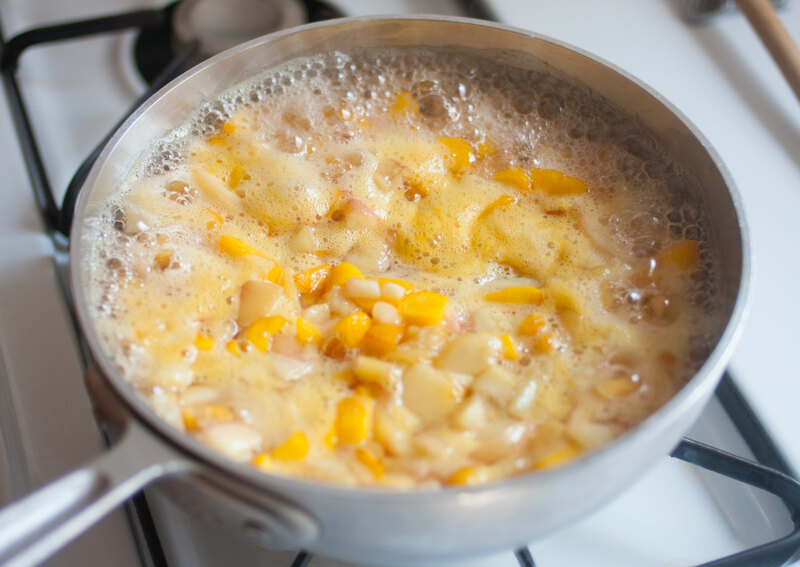 I bought everything to a rolling boil and stirred continuously, skimming off any foam that rose to the surface. 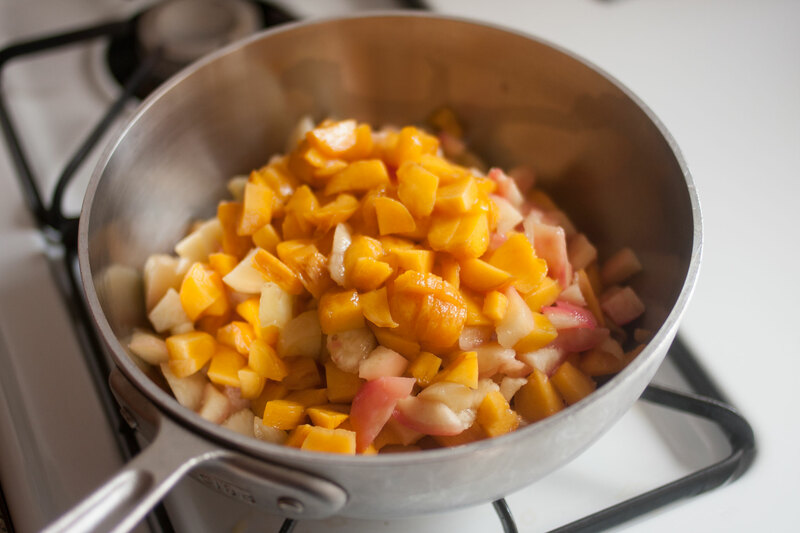 If you want your fruit to break down more than mine, cook over medium heat, still stirring frequently, and let the fruit simmer until it is mostly submerged in liquid (40 – 45 minutes). Their is nothing quite as divine as the delicately sweet smell that permeates the kitchen at this stage of making jam. 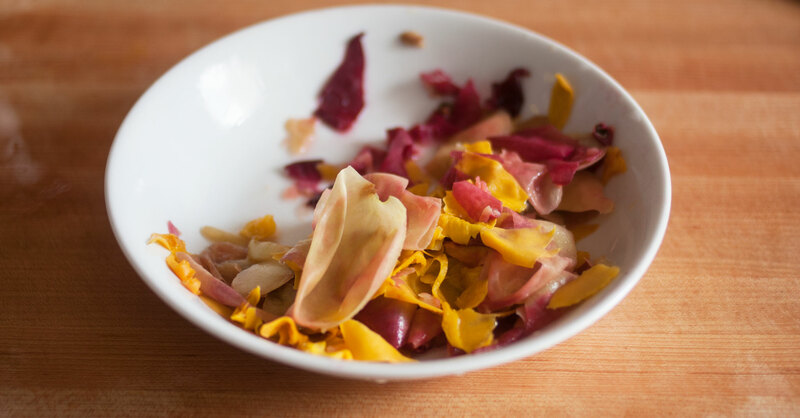 When the mixture starts to thicken up you can test it with a candy thermometer (jam reaches its ideal set point at 220 degrees Fahrenheit) or ladle a spoonful onto a chilled plate and let it sit for a moment. 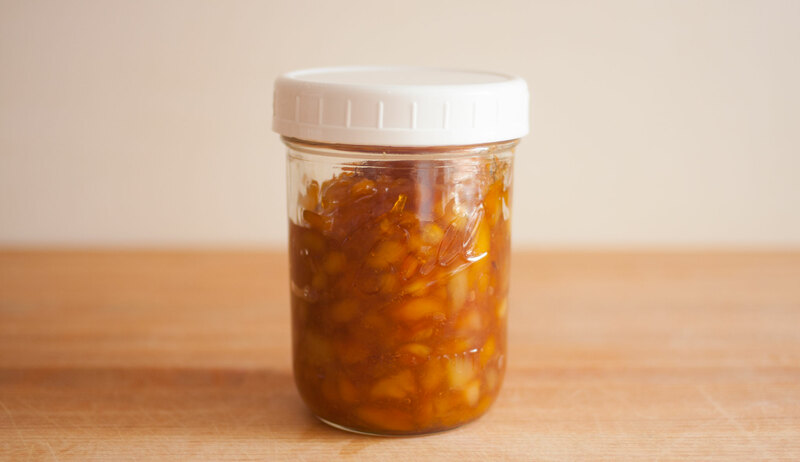 If it appears runny, give your jam a few more minutes on the stove. If a skin forms over the surface and it is slightly resistant to your touch, it’s ready! Proper consistency is a subjective thing and your eyes are often the best judge of when your jam is appropriately thick. Remove the pan from heat and let it cool. 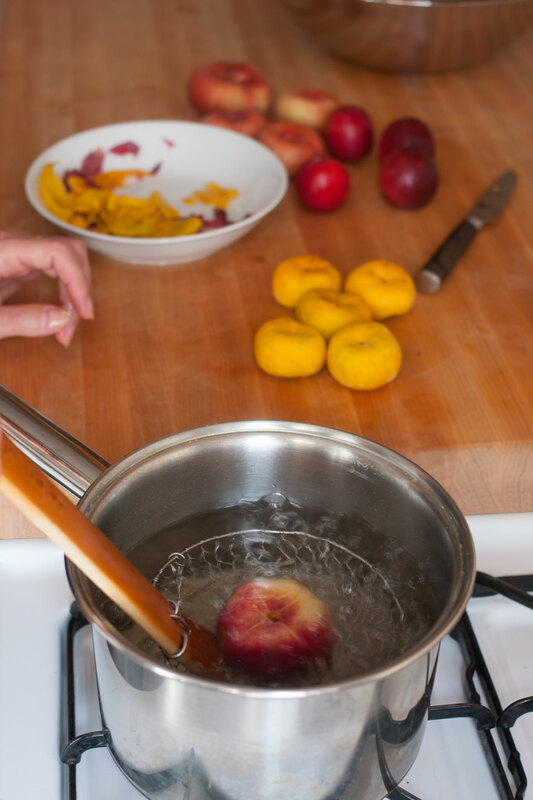 It’s always amazing how this cooks down: 2 pounds of fruit and it didn’t even fill a pint jar.